Fab Cafe — a cafe by Fabindia that serves organic and healthy food has made its way to Hyderabad. 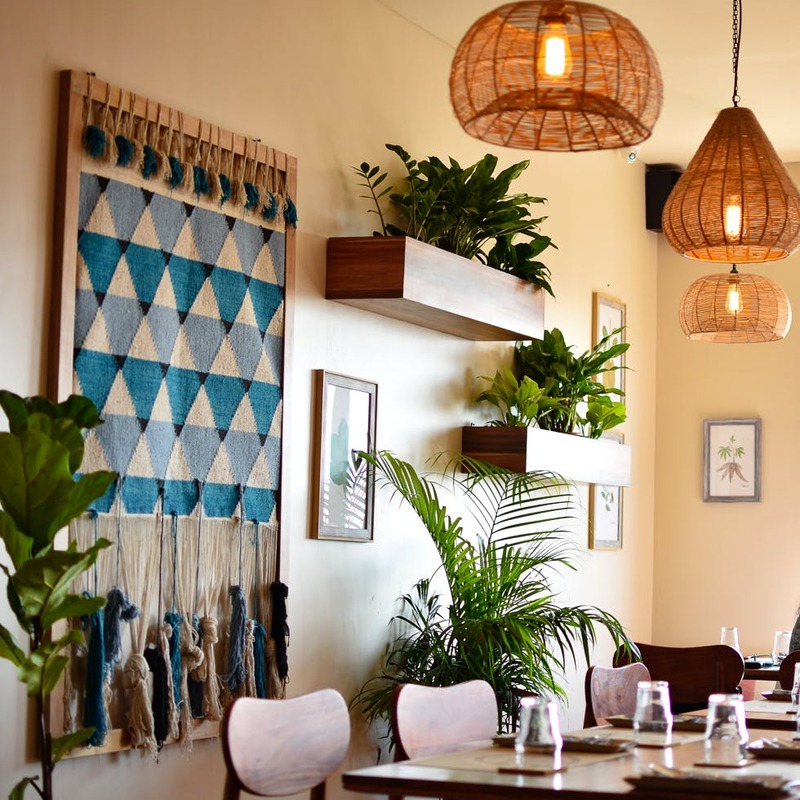 Quaint, soothing music, and easy to eye decor, we think this cafe and its delicious food are here to stay. The land of biryani might hold its masaledaar Nizami delicacies close to its heart but it always accommodates cafes that intend to introduce lesser known tastes and cuisines to the city. The crowd that kept building at Fab Cafe proved it. Located inside the Fabindia Experience Centre in Banjara Hills, Fab Cafe will wrap you in its demure aura right from the moment you step in. The dainty place is done up with stunning wall decor (Very Instagram-worthy), a blue-tiled wall with a huge mirror and plants. With plenty of sunlight gushing in, we really loved whiling our time during the sunset for scoring great views while listening to Carnatic and western classical music the cafe was playing. Start your meal with Shakarkandi Chaat Salad (roasted sweet potatoes), Chicken Tikka in a Baked Rumali Tokri (chicken is topped on rumali roti in canapé style and served with tangy pudina chutney), Veggie Chips with Cashew Chips. Perfectly leading you to the main course, these dishes were light on tum. We broke our Jackfruit Flour Chapathi with Rajasthani Gatta Curry and ate our brown rice with Bengali Fish Curry. Super authentic and aromatic, these curries are sure to take us back to the cafe. Plus, their tadka chaas, kombucha are showstoppers! We wish they served healthy soups as well. There is a play area for kids, right next to the cafe. If your kiddo is bored, drop them at the play area for fun and frolic. Plus, it has caretakers who can keep an eye on your toddler.